As you can see, there’s room for eight signatures, including Vision, Sam Wilson, Anthony Stark and Steve Rogers. Notice how there’s no Bruce Banner, Thor, Black Panther, or Spider-Man, though the latter two are unknown to the Marvel Cinematic Universe, showing up for the first time in Civil War. 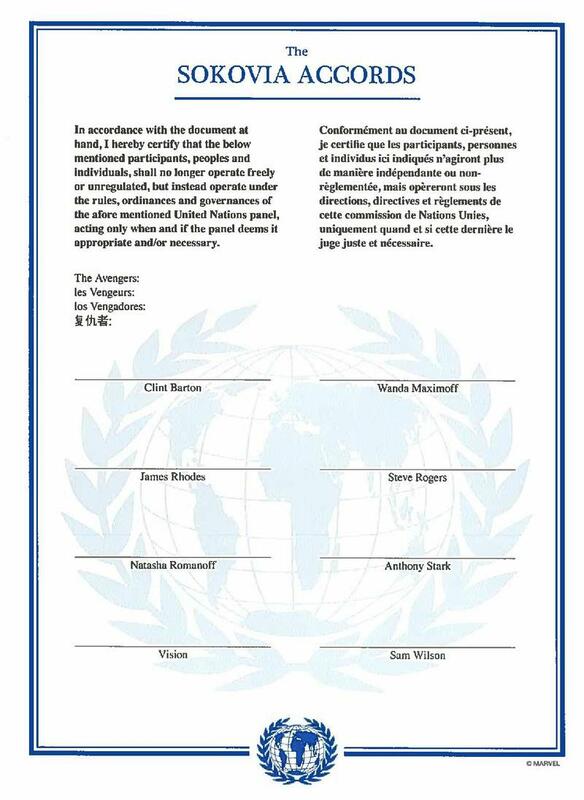 In accordance with the document at hand, I hereby certify that the below mentioned participants, peoples and individuals, shall no longer operate freely or unregulated, but instead operate under the rules, ordinances and governances of the afore mentioned United Nations panels, acting only when and if the panel deems it appropriate and/or necessary. 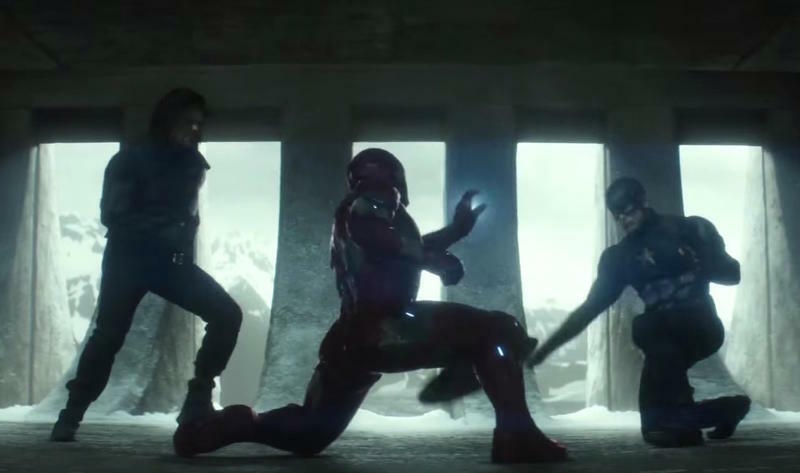 As we saw in the trailer, the Sokovia Accords divides the group right down the middle, and creates an especially big rift between Captain America and Iron Man. Having seen how corrupt S.H.I.E.L.D. 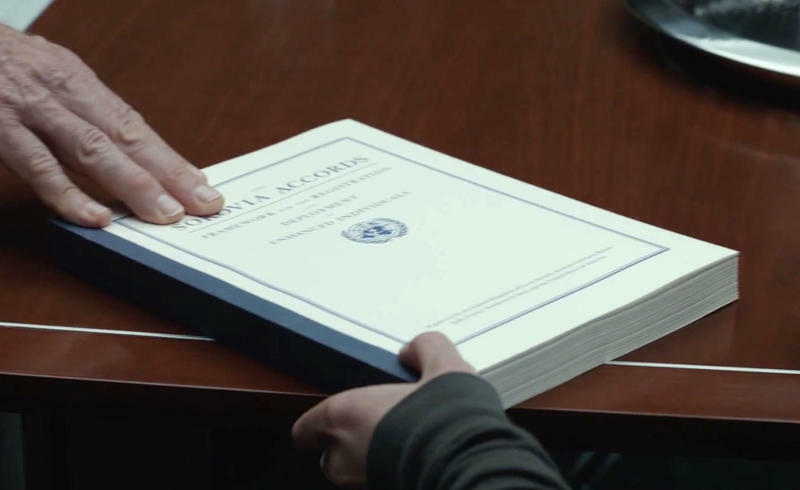 was, you can understand why Captain America is so hesitant to buddy up to the government. But after Age of Ultron, it’s also easy to see why Tony Stark would be quick to sign up. Whose side are you on?